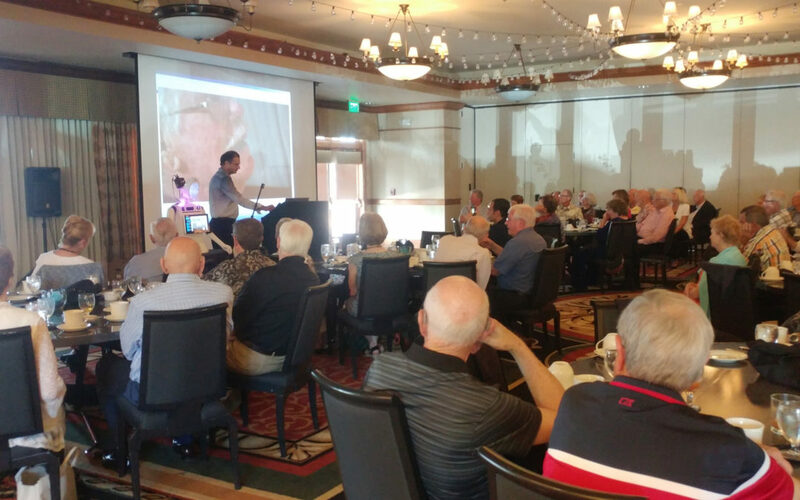 On August 30th of 2018 DreamFace Technologies was invited to Pinehurst Country Club’s weekly Luncheon. During the Luncheon DreamFace Technologies presented the company’s goals and Ryan to the Country Club members. The presentation drew more than a hundred attendees which was the most the Country Club had seen in over two years of presentation. It is safe to say that Ryan was a hit among the crowd.